Germany's Angela Merkel and other centre-right leaders have indicated they would like to see Mario Monti to keep on running Italy instead of Silvio Berlusconi. The centre-right leaders - as well as the two Italian political adversaries - met in Brussels ahead of an EU summit on Thursday (13 December) in an event designed to prevent Italy's political turmoil from stirring up the euro-crisis once again. 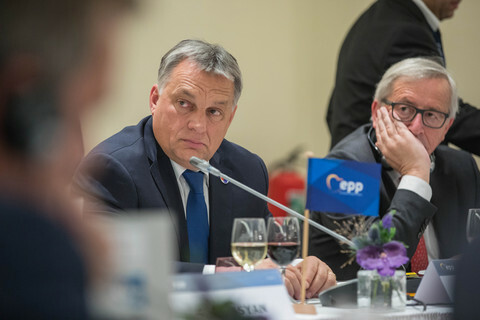 The centre-right European People's Party (EPP) chief Wilfried Martens admitted to journalists he stage managed the whole thing so that neither Monti nor Berlusconi knew the other would be there until the last minute to make sure that both men showed up. 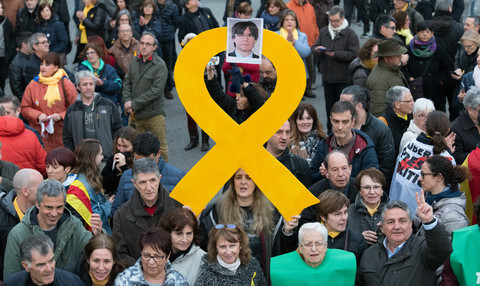 "It was a clarifying meeting in which we wanted to hear about the political situation and to express our massive support for the policies pursued by Monti, not only for Italy, but for the stability of the eurozone as a whole," Martens said. He insisted that the EPP elite is not telling Italians whom to vote for in their upcoming snap elections. But he added that if Monti - a respected economist and former EU commissioner - were to "disappear," it would be a "great loss." For his part, Berlusconi said he would abandon his plans of running against Monti if Monti runs at the head of a centre-right coalition. "There is a great worry in the EPP that the left will win the elections if Monti doesn't run for a coalition of the centre-right," Berlusconi said on his way out. 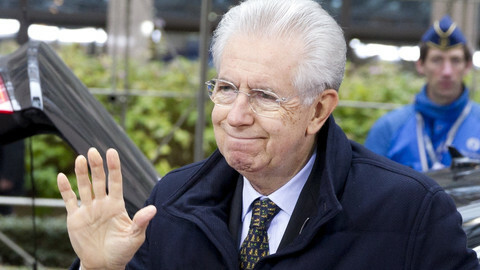 But Monti, who has never been a political party member, did not confirm if he would take up this offer. "The EPP expressed its appreciation for our policies," he told journalists on his way out. So far, his government of technocrats has been backed both by Berlusconi's centre-right People of Freedom party and by the centre-left, which is tipped to win the elections. It was Berlusconi himself who triggered the early vote in the first place, after his PDL group last week withdrew its parliamentary support for the Monti government and announced that the he would stand again for office. Centre-right leaders are in a pickle about how to treat Berlusconi's antics, as Berlusconi is still a member of their political family and cannot be expelled personally, but only together with his party. Meanwhile, overt support for Monti is seen as an intrusion into Italian democracy. 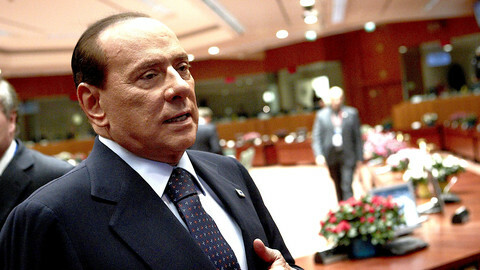 The EU elite already intervened last year when Berlusconi stepped down amid outside pressure. The septuagenarian, multi-millionaire, perma-tanned media tycoon and convicted fraudster was seen as letting Italy slide into economic neglect by refusing to undertake reforms. For his part, Finnish leader Jyrki Katainen, on his way into the EPP meeting, said he would not comment on "the person" of Berlusconi. 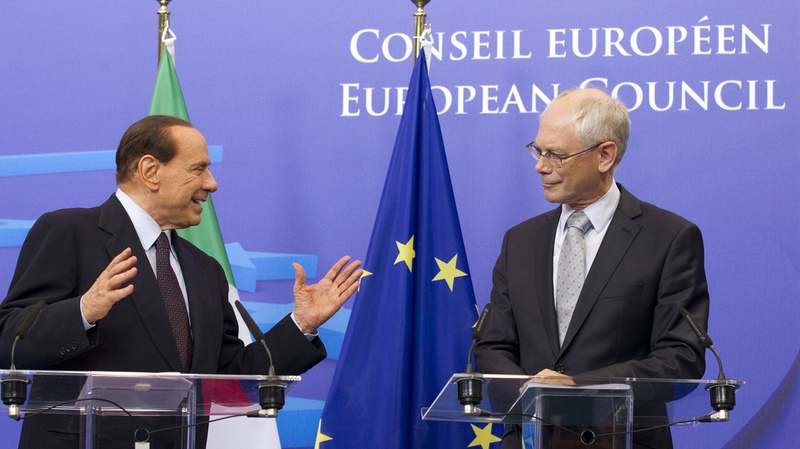 But he said it is "important for responsible politics as carried out by Mario Monti to continue. 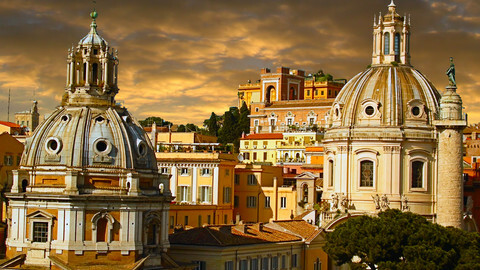 Italian politicians have a responsibility for the stability not only of Italy, but of the euro area as a whole." "The reforms carried out by Monti are very welcome for the Italian economy, which is rapidly shrinking and badly needs more reforms. I am a Swedish voter, not an Italian one, but I hope anyone winning the elections will carry on Monti's reforms," said Swedish leader Fredrik Reinfeldt. Austrian foreign minister Michael Spindelegger said it is important that "Italy doesn't become a [bailout] programme country." EU commission president Jose Manuel Barroso took to the phone to deliver much the same message in a "personal conversation" with Berlusconi earlier on Wednesday. 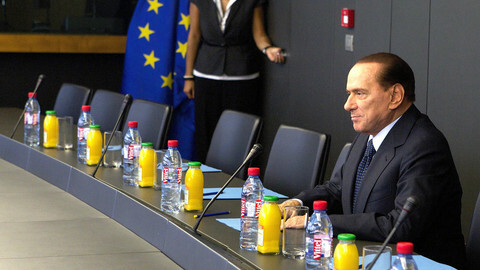 Frenchman Joseph Daul, the leader of the EPP in the European Parliament, said Berlusconi had made a "serious mistake" by withdrawing his support from Monti. Sources at the meeting said that Merkel "supported the Daul line." The centre-right European People's Party on Tuesday sought to detach itself from "populist" Silvio Berlusconi after he brought down the Italian government. The inevitable loop of Italian politics repeated again this month when former prime minister Silvio Berlusconi - fresh from a tax fraud conviction - pulled his party's support for the technocrat government of Mario Monti. 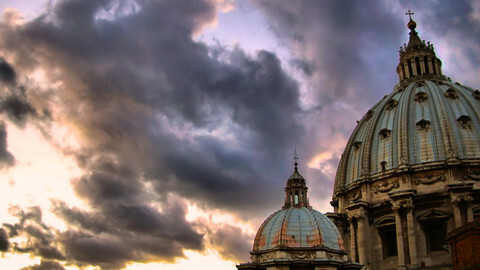 Italian Prime Minister Mario Monti resigned as promised on Friday after the Italian parliament adopted the 2013 budget. Italy's Silvio Berlusconi is to join forces with the Northern League in next month's elections, but does not want to be Prime Minister. EU commissioner Olli Rehn is at the centre of a political row after blaming Italy's former prime minister, Berlusconi, for the country's financial crisis.